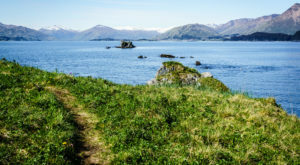 With the mild, southeastern climate, Juneau, Alaska is home to many magical places. 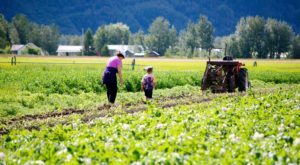 Many people don’t realize that the mild climate lends itself to amazing gardening. 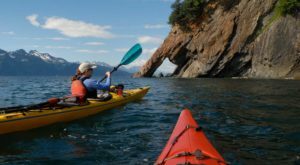 Pair that with the Alaskan midnight sun, and Juneau is the place to go for a truly stunning Alaska rainforest garden adventure! Even though it may seem strange, it's true! We have an Alaska rainforest garden! 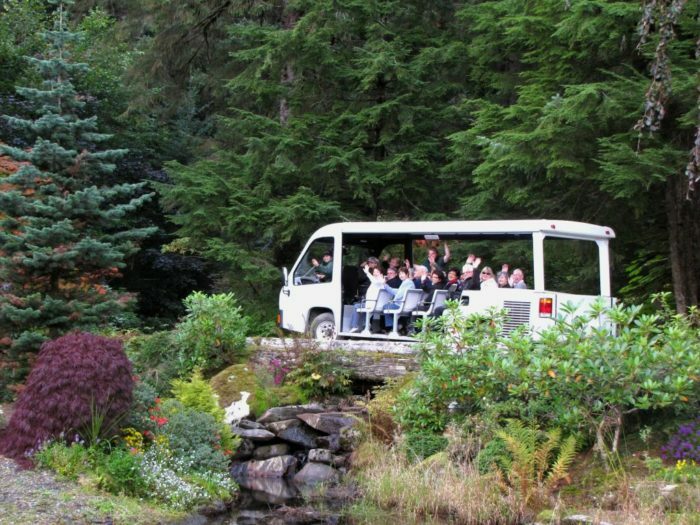 This very cool adventure, Glacier Gardens Rainforest Adventure, is located in Juneau. 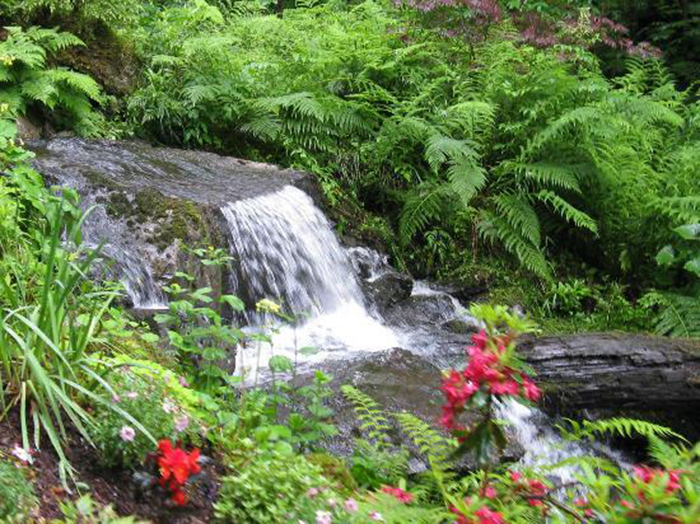 The mild, temperate climate allows these exotic plants to thrive! The Glacier Gardens are home to some spectacular scenery, including this incredible sight- the flower towers! These are trees that are upside down with flowers planted in their roots! Reader's Digest named these Flower Towers America's Most Interesting Landmark in 2012! You can also explore the lower gardens in The Visitor's Center. 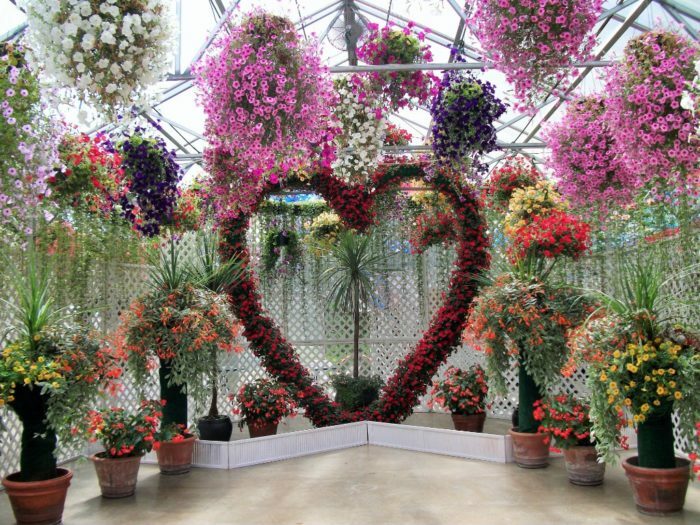 These are stunning floral displays inside a greenhouse structure. 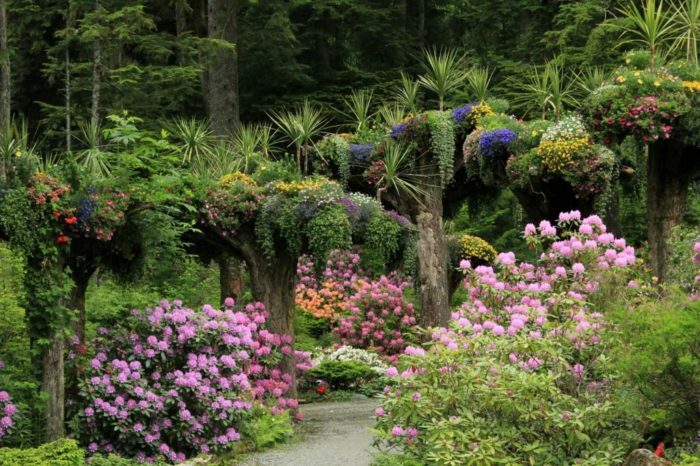 It should come as no surprise that many people get married at these gardens! 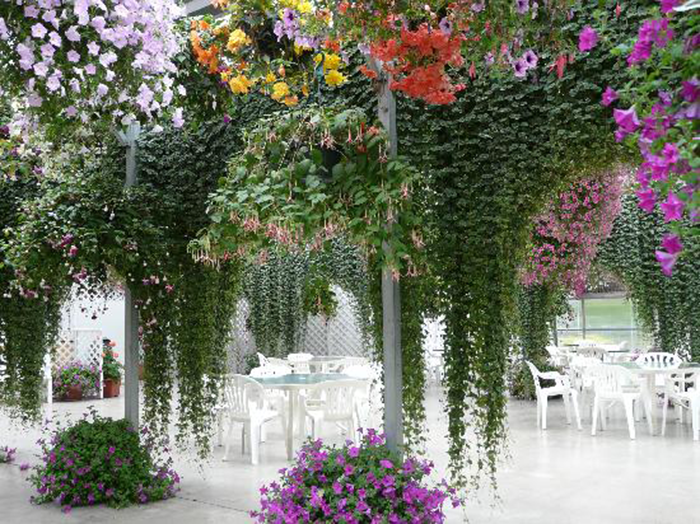 There's plenty of seating under these gorgeous hanging flower gardens. It's perfect for special events! If you visit the Garden Cafe on the property, this is a lovely place to relax and enjoy your beverage or light snack. It's truly magical to sit under the stunning display. There's over 50 acres of beautiful gardens and forest to travel through. There's even a series of cascading waterfalls to enjoy! 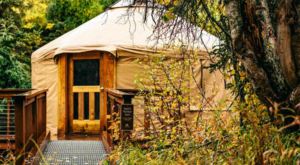 This is the perfect place for a peaceful day of exploration. If you take the tour, you will have an excellent guide to show you how Steve and Cindy Bowhay created the gardens to complement the native landscape. The tour bus is covered to keep you dry from rain, while allowing for photos of the amazing landscape. 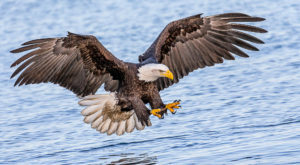 There are even bald eagle nests on the property! The website has a camera feed so you can watch the eggs hatch. 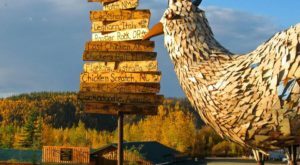 Don't forget to head over to the panoramic viewpoint on the property! 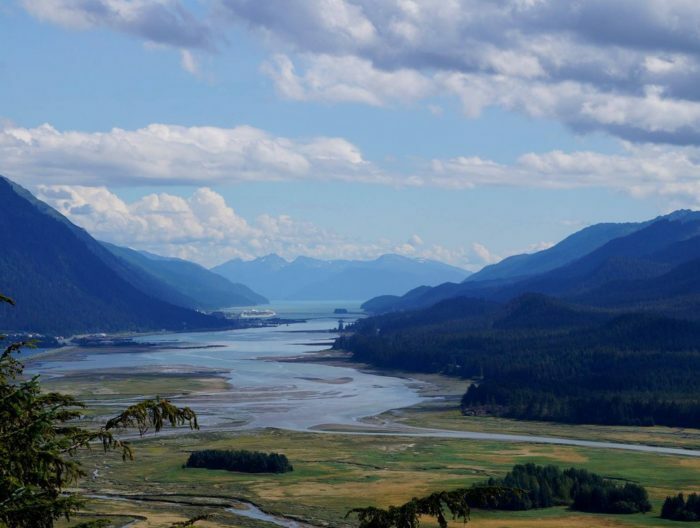 At the 580ft level you have an incredible view out over Juneau. Tickets start at $28.00, and includes the botanical gardens for the entire day. 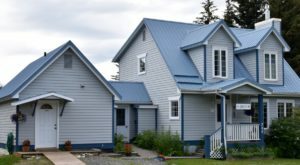 Spend as little or as long as you want exploring all the amazing flowers and plants on the property, and enjoy the peaceful silence of the Tongass rainforest. 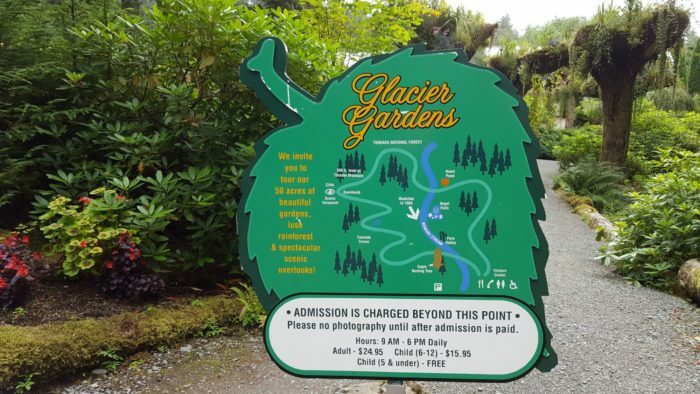 Have you ever visited the Glacier Gardens Rainforest Adventure in Juneau? What was your favorite flower? Let us know in the comments below! 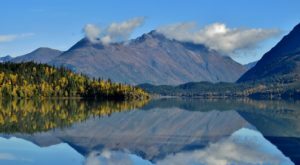 If you’re visiting Juneau this spring, don’t forget to check out The Massive Bird Migration In Alaska That The Whole Family Will Enjoy!